Revolutionary new tortoise housing design. Based on extensive studies over many years, providing enormous flexibility in temperature and humidity control, correct microclimates for a wide range of species, low cost self-build from readily available materials, natural UVB utilisation and ultra-low energy inputs. Fully backed up by extensive data and field testing in a range of conditions. The first ever detailed analysis of the effect basking lamps have on tortoises and other captive reptiles using infra-red thermography. Why, and how they differ from natural sources of infra-red. The Climate Frame Terrarium: Versatile outdoor terrarium with natural UV-B and optimal Infra-Red! Practical applications of new technology infra-red transmitting plastics and advanced microclimate creation for tortoises, turtles and other reptiles. Also visit our user forum for instant online help and advice! Homes Needed for Tortoises of all species. See Public Rehoming section of the Tortoise Trust Forum for full details. You can now receive up to the minute hibernation safety alerts and other important information on tortoise welfare completely free via our brand new E-Newsletter. Click link above to subscribe today. Click link above for COMPLETELY FREE Adobe PDF copy of our new 24 page booklet! 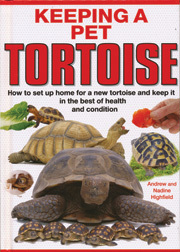 Essential advice for all new keepers from the Tortoise Trust and the Jill Martin Fund for Tortoise Welfare and Conservation. Please read before emaillng us or writing to us with questions relating to tortoise or turtle care!! 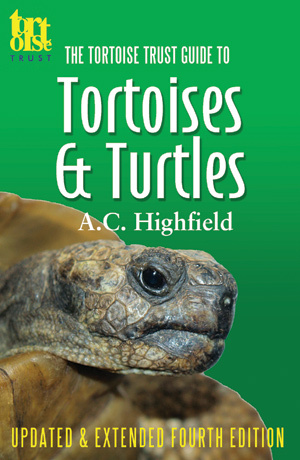 The excellent, fully updated and extended 4th edition of 'The Tortoise Trust Guide to Tortoises & Turtles' is now available as an instant download from all Amazon sites in Kindle book format. You do not have to own a Kindle to read as you can use the Kindle Reader software on PC, Mac, iPad and Android platforms. For 25 years the Tortoise Trust has consistently developed new methods of husbandry, and has actively campaigned for the conservation and protection of tortoises and turtles around the world.